Not a long post today. I just wanted to share my reflections on this past Sunday’s Epistle from the extraordinary form. I live near St. Louis, Missouri. As many of you know the St. Louis metro area has been going through a period of civil unrest stemming from a white police officer’s shooting of Michael Brown, an unarmed young black man and a grand jury subsequently deciding not to indite the officer for the use of deadly force. I don’t need to get into the details as by now most everyone in the western world has seen some coverage of the story. Before I move on to what all this has to do with last Sunday’s Epistle; I want to defend my home town, or at least home metro area. St. Louis all-in-all is a great place. It is no where near as dangerous as statistics suggest. Due to a historical anomaly St. Louis is an independent city, not part of a county. Because of this the city proper has been land-locked since 1876 , the city divorced the mostly rural St. Louis County and has there-by been unable to annex it’s suburbs as have most similar sized cities. Today St. Louis County is one large flowing metro area made up of a patchwork of 90 municipalities which added together have triple the population of the city itself. The center of the resent protests is of course the North St. Louis County city of Ferguson which is just 6.2 square miles in size. 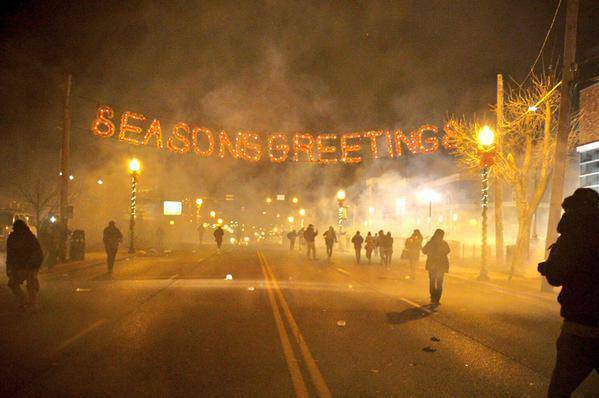 The majority of the protests and violence took place over just a handful city blocks. In other words if you are thinking about canceling your next trip to St. Louis, you really have nothing to worry about. Back to the Epistle: Seeing all the coverage on national and international television, one can only imagine what people living in the St. Louis area are seeing on our local news every night. Although most of the major carnage has slowed down, there are still almost daily stories of small protests turning violent. This past Sunday we read from Paul’s letter to the Romans 13:11-14 “Brethren, knowing that it is now the hour for us to rise from sleep. For now our salvation is nearer than when we believed. The night is passed, and the day is at hand. Let us therefore cast off the works of darkness, and put on the armour of light. Let us walk honestly, as in the day: not in rioting and drunkenness, not in chambering and impurities, not in contention and envy: But put ye on the Lord Jesus Christ. Of course hearing the word “rioting” immediately perked up my ears while at mass. Being a young college instructor I’m social network friends with scores of college students, most are liberal, and many were cheering on the rioters. Some posted references to the Boston Tea Party, American Revolution, the taking of Versailles, or the fall or the Berlin Wall. One of my students even posted a YouTube video of the Les Mis song “Do You Hear The People Sing”. I was saddened by comparisons, mainly because they elevated the actions of drunken rioting looters to those of legitimate revolutionaries overthrowing oppressive regimes. 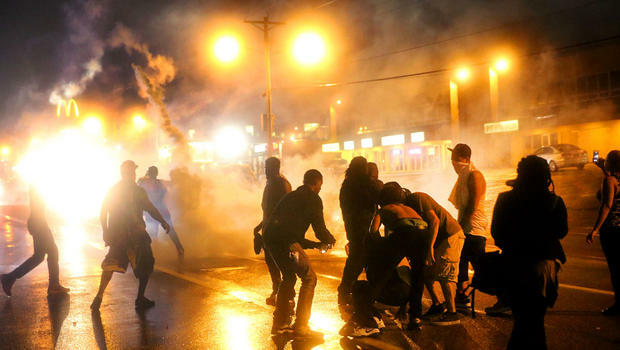 The looters we saw last week showed no remorse for Michael Brown. The looters were not somber, they were running, smiling, drinking, and laying waste to their own neighborhood. We’ve all said it; “Christmas seems to come earlier every year”. This year I was surprised at how many of my Facebook friends were posting in mid-October about how they couldn’t wait for Halloween to end so that they could put up their Christmas trees. I thought to myself “They have to be kidding, nobody would put up their Christmas tree on November 1st”. Low behold I was proven wrong. On November 1st, the Solemnity of All Saints, the oldies station here in St. Louis flipped formats to 24-hour-a-day Christmas tunes and no fewer than three of my friends posted pictures of their Christmas trees. This brings up a good question; What about Advent. 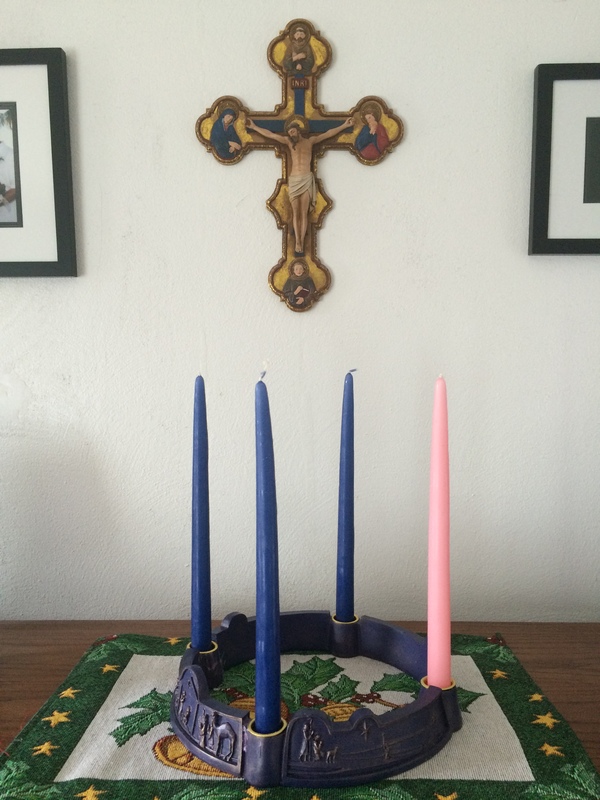 You remember… Advent… O Antiphons… Those four purple and pink candles… Jesse Trees… You know, Advent. With the rush to turn your home into the perfect winter wonderland coming earlier and earlier every year it’s hard to find the time to fit Advent into into one’s life. I get it. I mean who doesn’t love Christmas. It’s a time of joy in the Church’s year, and it may be the only time where, in today’s world, we Christians get to geek out (in a religious sense of course). We can openly flaunt out Christianity with little fear of repute from friends. When was the last time a cashier in a store wished you a happy feast of St. Charles Borromeo? Christmas is a great time, but Advent is too. Advent is one of the richest seasons in the Church’s year in terms of traditions that can help us grow closer to the Lord. First and foremost Advent is a time of preparation. Before the Church’s two most important feasts (Christmas and Easter) we are given a period of time to reflect and prepare ourselves to celebrate. These are periods of permanence. In this time we should not only bring to mind our failings and renew our resolve and pick up a new devotion. We all see Advent wreaths in our parish, but do you put one in your home? You should! Think about lighting candles during dinner or while reading advent meditations from Divine Intimacy or another good devotional. The seven O Antiphons, prayed as part of Vespers between December 17 and December 23, are great prayers to add to your family prayer life in order to make time time more special. These antiphons also connect us to the earliest Christians with the earliest written references to their use dating to the sixth century. Jesse Tree’s represent the genealogy of Jesus. 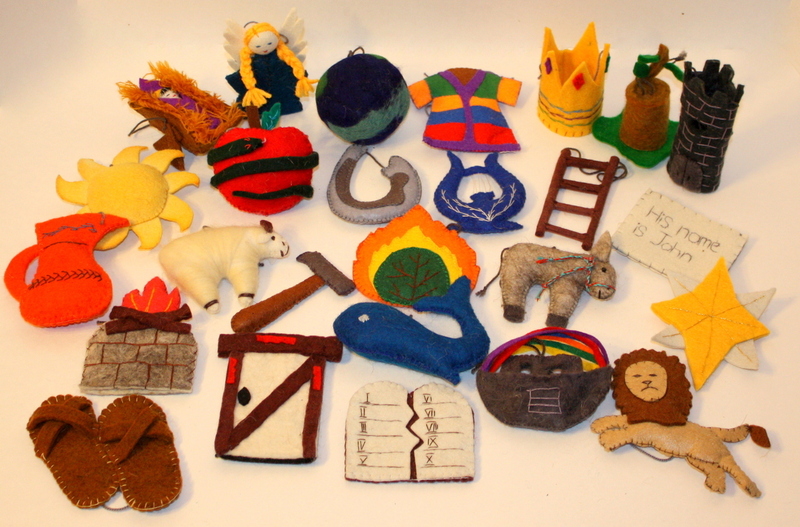 They are a great way to teach kids about the genealogical scripture and it’s significance. Every day one can reflect on a different ancestor of our Lord. Of course we can’t forget two great novenas for The Immaculate Conception (Nov. 29 – Dec. 7) and Christmas (Nov. 30 – Dec. 24). How could we pass up all of these spiritual graces? In order to properly live Advent I’ve decided not to put up Christmas decor until after the Fourth Sunday of Advent. That right… no tree, no wreaths, no lights, or even a single snow globe. Just the traditional purple cloth draping my prayer table, an advent wreath, and a nativity with empty crib. I encourage you to put off some of the Christmas celebrations in order to immerse yourself deeper in the season of Advent and explore some of the Church’s hidden traditions as well. This year happens to be a big year in St. Louis. It is the 250th anniversary of the founding of the city, 700th birthday of St. Louis IX, and the centennial of the Cathedral-Basilica. 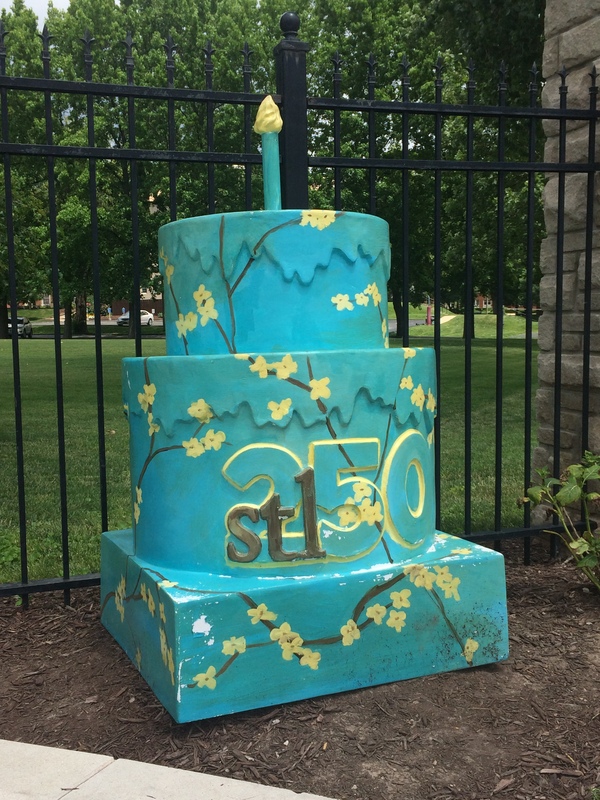 To celebrate the milestone a nonprofit was formed called STL250. 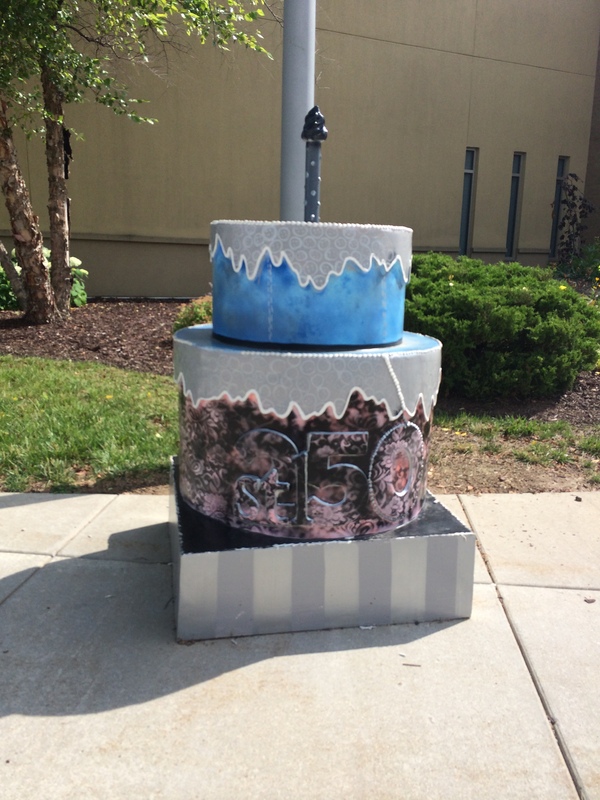 In celebration the organization has placed 250 large metal birthday cakes across the metro region. These cakes were decorated by local artists, and most of them have at least some sort of theme connected to the site to which they were placed. Several Catholic sites have been chosen to host cakes for the celebration provided below is a list. I’ve also snapped a couple of pics from sites that I’ve recently visited. 12) St. Joseph’s Academy (An all-girls high school) Below are the cakes that I snapped yesterday. I’m a big proponent of the Church not only using traditional means of evangelization, but also more modern means that have especially developed in the 21st century. It seems that as Catholics we are constantly playing catch-up to the protestants when it comes to electronic evangelization. I mean come on, have you seen your parish’s website lately? I don’t know who you are but I bet its horrible. Websites, however are not the focus of today’s post. That one I’ll save for another day. No, today I just wanted to share some of my favorite podcasts. I’m a big fan of all three of these podcasts, and I should mention that I am listing them in no particular order. I’ll also note to you that I listen to far more that these three podcasts, but these are my top three. This podcast has been around for several years and to date has kept to a close to weekly schedule. The show was founded by a group of seminarians in the Archdiocese of Denver. The purpose of the show is to breakdown a complicated issue (and sometimes not so complicated) into an easily digestible 20 minute lesson. The three rotating hosts use wit, jokes, and wisdom to break down theological issues. Episodes of this podcast have ranged in subject matter from basic theology of Hans Urs von Balthasar, to homosexuality, theology of the priesthood, to theology of mountaineering. For me every episode is a must listen. I can honestly say that there is not a single episode where I didn’t learn something. If you want to hear a courageous priest, deacon, and seminarian talk tough issues this podcast is the one that will give you hope for the future of the Church. These are the guys (and a gal) that would cringe at the sight of this blog. The program bills itself as “Your Catholic Guide to the Digital Continent”. If you are into blogs, Twitter, Facebook, Apple, graphic design, or any other aspect of technology you won’t want to miss this podcast. This podcast steers away from the analog and into the world of digital evangelization. Two graphic designer priest, a parochial school theology teacher, and an audio guy saddle up each week and take you on a tour of the latest gizmos, technologies, websites, and web based services, and how you can use them to make the digital continent a little holier place. Not really a podcast, but my blog, my rules. The Catholic Guy Show airs Monday through Friday on SiriusXM’s Catholic Channel. Each week the hosts choose some of their favorite content and post an 1 – 1.5 hour “best of” podcast. Hosted by Lino Rulli and Fr. Rob Keighron listeners are treated to a different type of Catholic radio… One with talent. I’ve never revealed this to listeners, but on to of my university teaching duties I’m also a professional broadcaster. I’ve worked in radio for nine years and have held positions many positions including morning guy, and general manager. With this being said Catholic radio bugs me. It’s so bad. The broadcasters are horrible, and the production value is worse. The Catholic Guy Show makes me smile because it is what Catholic radio should be. The program is funny, timely, entertaining, and educational. Best of all the program is of the highest quality. The hosts are pros. They know what makes radio good. With this being said the program isn’t all fun and games. Regular guests include leaders in Catholic media. There you have it. Quick post today. Sorry for not flushing out my descriptions of each show a little more, but students aren’t the only busy ones at mid-term. Listen for yourself and form your own opinions. Oh and please share some of your favorite podcast below. As Catholics we realize that Our Lord has given us an amazing gift. Providing that we are in a state of grace we can daily receive His Body and Blood. Just take a moment to let that one sink in. Not only did God decide to become man and then serve as the eternal sacrifice for our sins, but then he instituted the Eucharist and allows Himself to become physically present in tens of thousands of masses that are said every day. So why am I not more excited? Why do I often have trouble dragging myself to daily mass? Today is a prime example. I had several morning classes to teach, but my afternoon was wide open. As I arrived at the university I began looking over my calendar and making my day in my head. I though to myself “Oh I can go to noon mass today”. Okay then! This is going to be a good day right? I’m going to be all Catholic and make it to a noon mass at a nearby shrine. As classes ended I packed my things and made one more look around my office and it hit me: The St. Louis Cardinals are playing Game 2 of the NLDS at noon… and thus ended my plans to attend mass. Even as I’m writing this (the game ended seconds ago with a 7-1 loss), I feel bad for my decision. I mean I’m supposed to be a good Catholic. I’m supposed to love the Lord, I own many leather bound books. Mass or watching a ballgame on TV, this is supposed to be a no-brainer. Yet the decision to attend mass wasn’t made. Why did I decide to watch my beloved St. Louis Cardinals on TV instead of attending the Holy Sacrifice of Mass. I could have Joined with the angels in heaven and sang Sanctus Sanctus Sanctus, I could have had my venal sins forgiven, I could have received the Lord… and I didn’t. Not that I’m passing the blame, but as Catholics we need to get on the ball. Don’t we all make decisions like this? Maybe we need to rethink our faith. Refocus. Decide what is really important. If we did life might be a little more exciting. 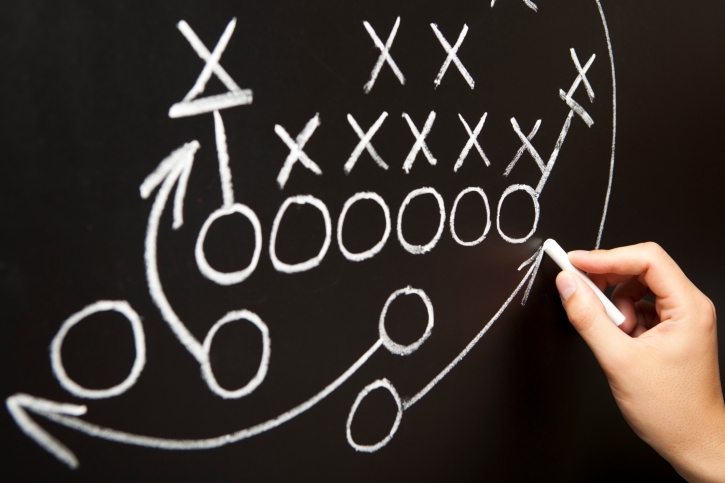 From that day I decided that I would operate with a game plan. A road map to help guide me to a closer relationship with our Lord. Over the years my plan has been modified. Sometimes my revisions don’t work and I have to make a scratch or start over. Needless to say that as life changes priorities change, and my game plan follows suit. One person’s plan may not work for everyone. For instance because of work obligations it isn’t always feasible for everyone to attend daily mass. I’ve also drawn on the experience of several books. 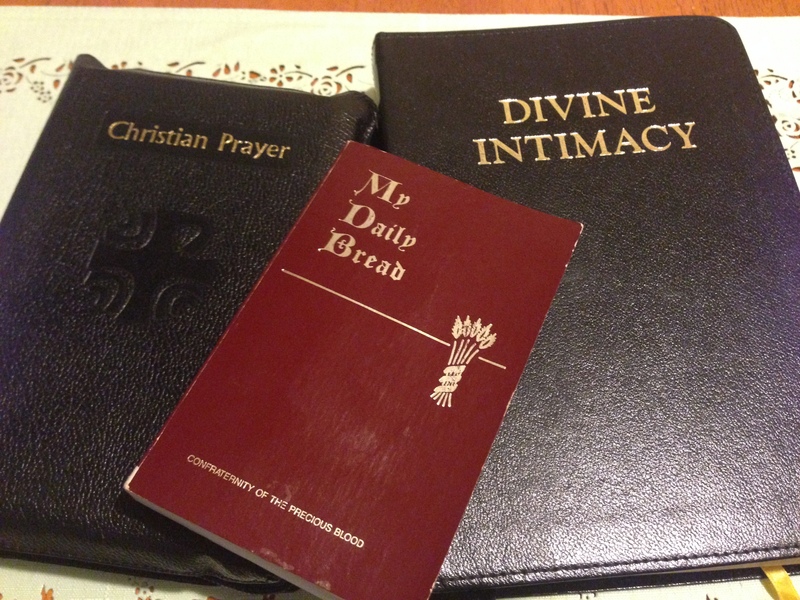 I’ve written on my love of Midwest Theological Forum’s Handbook of Prayers and Daily Roman Missal. 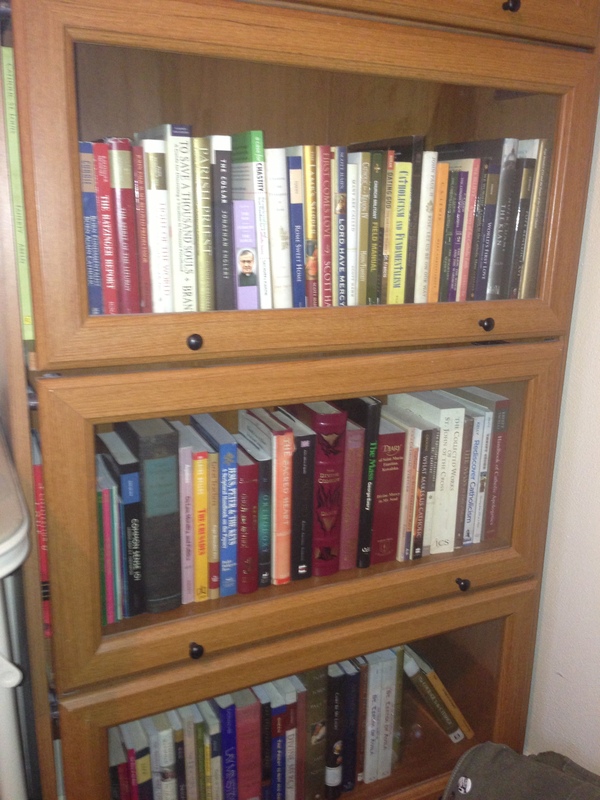 These books contain the same section titled “Spiritual Game Plan” (I wonder if my confessor stole the name?). Additionally Fr. Richard Heilman authored a book titled the Church Militant Field Manual. Like the two books from MTF this book also contains a great plan for spiritual life that includes many prayers and practices to benefit your spiritual life. There are many days when I don’t get to complete every devotion on this list, I’m not perfect nor do I pretend to be. I figure that as long as I complete a good portion of this list than I’ve done my duty for the day. I thought that today I’d share my daily plan of attack for daily life. I’ll start with the sacrimentals that I keep on me at all times. Daily I of course carry a rosary. 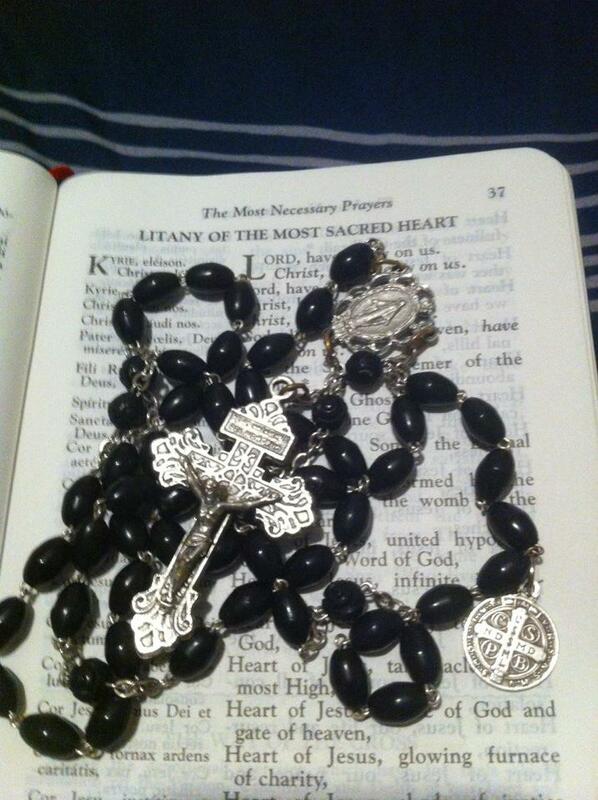 I have several rosaries and tend to rotate through them regularly. In addition to the rosary I wear a cruciform or four way medal. This medal combines four powerful medals. The Sacred Heart Medal, Miraculous Medal, St. Joseph Medal, and St. Christopher Medals are all included. 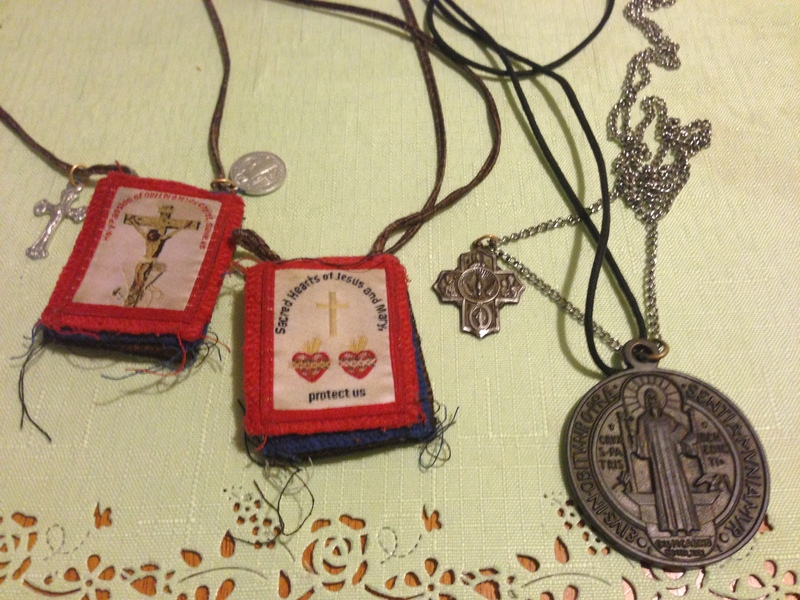 Finally I wear a scapular. I suggest that every Catholic be enrolled and wear a scapular. Personally I wear the five-fold scapular. This scapular contains the scapulars of five orders. Next my plan includes liturgical life. I pray three offices of the Liturgy of the Hours: Morning, Evening, and Night Prayer. I also do my very best to attend daily mass when my work schedule allows. I prefer and attend the extraordinary form on Sunday’s, but because of accessibility I attend the ordinary form on weekdays. Next we come to reading. As an academic I am used to heavy reading loads. I have made it a resolution to read a Catholic book of some kind for one half hour every day. This allows enough time for the book to sink in. For me at least, it takes about ten to fifteen minutes of reading to turn my mind off and amerce myself in what I am reading. Finally we come to daily prayer. 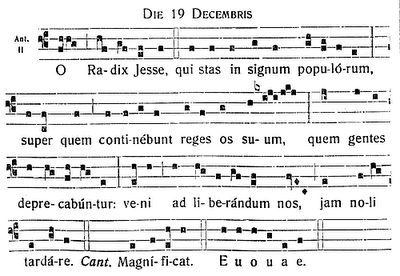 In addition to liturgical prayers my day includes a number of traditional daily Catholic prayers. In a typical day I try to include the following prayers. Finally I’ve taken a cue from the good Father Heilman and his Church Militant Field Manual. Fr. Heilman argues that physical health is important to a good spiritual life. In this vein I’ve drastically cut down my soda and fast food intake. I also started regular exercise. Not to brag, but a few weeks ago I started the “100 Pushups” program along with its sister programs “200 Situps”, “150 Dips”, and “200 Squats”. I’ve only been at it a couple of weeks, but I can already tell a drastic change in my physical shape. I really can’t wait to get to week seven. Now that I’ve shared mine, what is in your spiritual game plan? I recently led a discussion at my parish on what we can do (young Catholic adults) to help the cause of the new evangelization. I’d like to share some of the points that I made. 2) We need to be where the people are and speak the language of the people. This means social media. I’ve been confronted when expressing the following two arguments. – People (especially conservative friends) have often told me that if the Catholic Church is the source of Truth than we don’t need to present the message in new ways. – A second argument that I have often been confronted with is that the internet is “evil” or “bad” in some way, therefor as good Catholics we should not use the internet. I must argue against this attitude. These arguments are neither historically or theologically accurate. The second point is easier to combat than the first so I will tackle it to start. This is an argument that I’ve heard stated by various self described “traditional Catholics”. My answer is easy. Yes, the internet does contain a lot of evil. Yes people do a lot of immoral things while on the internet. – Television entered people’s homes for the first time shortly after the end of the Second World War. In 1951 Bishop Fulton Sheen debuts “Life is Worth Living”. – In the late 1950’s Sheen was again a pioneer with syndicated television shows and “The Fulton Sheen Program”. – In the late 1960 cable TV debuted to bring television to communities outside broadcast station’s limits. In the late 1970’s cable specific channels popped up. In 1981 Mother Angelica started EWTN. EWTN now has the ability to reach more homes than any other American station. – The Telecommunications Act of 1996 allowed radio stations to syndicate entire radio networks. The very next year EWTN radio debuted as one of the first 24 hour networks. As you can see Catholic’s have been on the cutting edge of society for a while now, but why are we so slow to adopt the internet as the newest way to evangelize? I honestly don’t have an answer. As a group we really need to take a look at what we are doing wrong and work to fix this problem. It isn’t like catholics don’t have an internet presence, but our presence, lets just say is less than impressive. If you don’t believe me why don’t you visit the website of your local mega-church? Visuals are the language of the internet, and protestants seem to be fluent in this language of the future. What can we do to catch up? 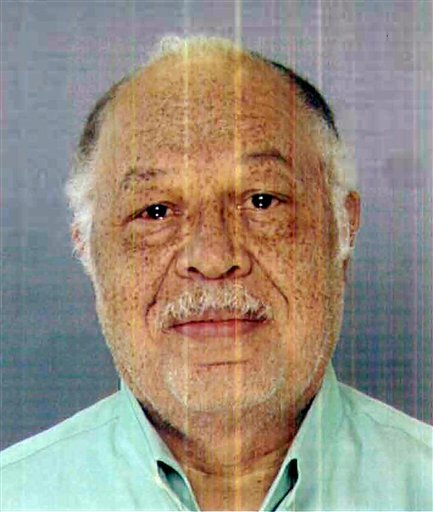 The Gosnell Trial: Why is the Media Not Covering This? I have to ask a favor of my fellow Catholic social media users. The main stream American media seems to be completely ignoring the story or, more likely, suppressing it. The story is one of Dr. Kermit Gosnell. In case you haven’t heard (and because of the media blackout you may not have) Dr. Gosnel is an abortion doctor from Philadelphia who is currently on trial for eight counts of murder. Seven of these founts are first degree murder for the deaths of babies in his abortion clinic, while the eighth count is second degree murder for the death of a woman who was having an abortion preformed. I can’t help but believe that if this story was about a vet drowning puppies that the story would be front-page news. Sadly, there are some that want to advance the agenda and make “post-birth” abortion legal. It seems as if the main stream media is doing their part by hiding the horrors of this grim reality from the people. The British press, including The Daily Mail and The Telegraph both ran stories on the trial today. The Telegraph even went as far as publishing an opinion spot on how the US media is downplaying the trial. I’m posting the links to these and other stories below. As a trained journalist (although currently not practicing) I find the suppression of the story appalling. The duty of the press is to protect the people by informing them of injustices. There was a time when this duty was taken seriously by all journalists. I was lucky enough to learn from a dedicated professor in college, who not only saw protections of the people as a duty, but as a sacred honor. We need to publicize this story. Social media has made it possible to circulate stories that the professional media has suppressed. This is my plea: Post and repost any article you can find regarding the trial on your Facebook pages, write your take on you blogs, and use all 140 caricters in your Twitter feeds to get the word out. Below are links to three stories that you can re-post. How Do You Combat Spiritual Dryness? If we are honest with ourselves I think that we would admit that we all go through periods where we feel especially close to God and periods of time where we feel like we are distant from God. 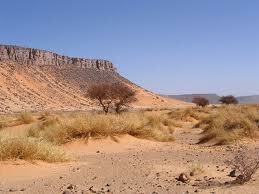 The question at hand today is; how do how you end your spiritual dry spell. Is there a certain practice that you exercise when you realize that your spiritual life needs a tune-up, does your dry spell end naturally, or does it take a major event or letdown in your life for you to reacquaint yourself with God? For me the answer is never that easy. Personally, I feel as if I cruse along for months attending daily mass, confessing weekly, praying the Liturgy of the Hours faithfully, and most importantly of all avoiding sin. Then I seem to hit a spiritual speed bump. The length of time varies, but I seem to hit a dry spell. 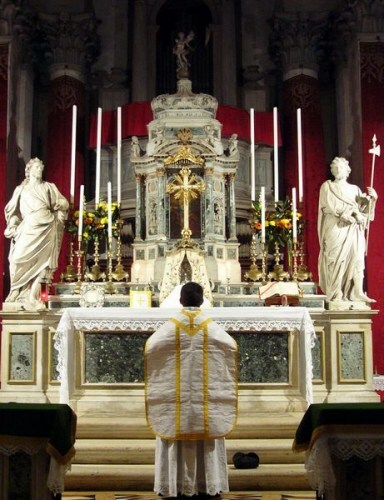 I attend mass less frequently, make less frequent confessions, and neglect even the most basic of daily devotions and prayers. I’m not entirely sure what snaps me into or out of these dry spells. I was thinking the other day about what causes spiritual dryness and how to combat it when it happens so that the experience doesn’t derail my spiritual life for extended periods of time. The problem is that without being in the situation it is difficult to put myself into the correct mindset needed for true deliberation. Looking back at my life these bouts with dryness seem to happen when my life gets too busy. It is easy in today’s world to focus too much on the goal of making money, continuing education, or the dating scene. Looking back I can see that the times when I’ve been through my longest spiritual droughts have been the periods when I’m most successful. They have been the times when I have filled my life with worldly victories; either a relationship, graduate school, or a good job. These are the times when I seem to tell God “I’ve got this, You can take a break”. This is the time when Satin enters our lives. After all when we force God out that space must be filled with something. The truth is that these are the times when I should be thanking God the most. Instead I turn my times of success I abandon Him. Consequently these are also the times when I fall flat on my face. Taking a serious look at my life it seems that every single time that I have pulled away from God that he has shown me who was really in charge of my life. I’m not saying that God was punishing me by personally having me laid off or ending a relationship, but I am saying that God knows what is best for us and that in these periods where I have been led astray He has (sometimes not so gently) put me back on the right track. This takes me back to the thesis of this essay. How does one get out of a spiritual dry spell. After much reflection I don’t know that there is an answer. Is it possible that, if we still have Him in our hearts, that He will always help us find our way back? I honestly don’t know. What are your thoughts? Part of living the Catholic life includes making difficult decisions for our faith. This week marks two years since I’ve made the most difficult decision of my life. It was two years ago that I broke up my longtime girlfriend in order to preserve my Catholic life. I first want to apologize for a personal story to which the wider audience may not be able to relate. The purpose of this blog is to relay the life of one lay Catholic. We all have turning points in our life. This is the shorter version of the story of what put me on the track to a more devout life. This is a personal story of my Catholic reversion. I have experienced pain in my life. Along with the death of my father this is a story of one of the two, and possibly most, painful eras of my life. Again I apologize for a long personal story, but it is my story and it is the story of how I became the person that I am today. You may be reading this thinking that this I may sound shallow or think to yourself “I’ve broke up with people before, get over it”. Before you judge me as some lovelorn guy in his twenties I want you to know that I too have been in other committed relationships, some longer, and one have occurred since the one that this story is about. This is the woman that I would have been with forever. This is the woman that has crossed my mind every day since the one that I met her. Although we have now been apart longer than we were together; there hasn’t been a day since I ended our relationship that I haven’t, at least for a few moments, felt remorse over my decision. I was in grad school at the time, it was a January. We met a conference for an organization that we both volunteer for. The two of us hit it off almost immediately. I’ve never felt as exciting of a connection with another person. I’d describe myself as someone who is hard to get to know; this wasn’t the case with her. By the end of the weekend we exchange numbers and social network contacts. Over two hundred miles separated us, but we spent almost every night together online. During the next few weeks we spent countless hours instant messaging. Eventually we found ourselves attending more conferences, just so we could run into each other. By the end of spring we finally admitted to each other that we were “dating”. The only problem was that she would be leaving the country for the summer. We exchanges our first kiss (and second), then off she went. Down the long highway home, and eventually off to a foreign land. 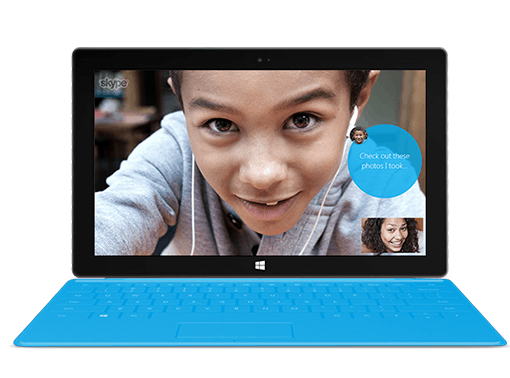 During the summer I’m sure my studies suffered (although I did maintain a 4.0) because we spent countless hours video chatting on Skype. Looking back over records I see that there were at least two days where we chatted for at least ten hours in a twenty-four hour period. When she got back we picked up right where we left off. We traveled to visit each other almost every other weekend. I can’t begin to calculate the hours I spent driving or miles I traveled by car and train. Every trip was paradise. Never had I “clicked” with someone so easily. I loved her bubbly attitude and she apparently loved my dry humor. I can rarely remember a moment when we weren’t moving (another trait we shared). We completely integrated ourselves into each other’s lives. We easily fell together with each other’s friends and together we explored every inch of each other’s hometowns. Her family was amazingly encouraging; making me feel as one of their own from the very first moment. Our happiness, unfortunately, was not to be. We had one difference; our religion. She was a member of a mainline protestant denomination and I was Catholic. This wasn’t, on the surface, a big issue. At the time I attended mass every week and believed in the real presence, but I was really more going through the motions. As minimal as my Catholic faith was, it was still too much for her. When we went to mass together I could tell that she was uncomfortable. I don’t know what exactly turned her off to Catholicism, I have my theories, but it will remain a mystery. It was probably sometime around the January after we met that she first voiced her problems with Catholicism to me. She suggested that when we should attend the same church once we lived in the same city; this was opposed to our previous discussion over religion where we agreed to go to services in both of our traditions once married. I wrote off the suggestion as a short term problem. Unfortunately the request came up again a few days later. It was at this point that I realized that I had to make a decision: I would have to choose between the woman that I loved and the faith that I had been raised in. It was at this point in time that I began to study. I remember first googleing for essays on Catholic rules for marriage. I picked up an essay or article by Kimberly Hahn, she was writing about the difficulty she was going through when her husband Scott was converting to Catholicism and leaving her behind in the fundamentalist church. I decided that if I was going to leave Catholicism behind I’d better figure out what exactly I was leaving. Over the next few months I started studying Catholicism seriously for the first time in my life. The next major religious battle happened the next time I visited her. We went to her denomination’s worship service with her mother. Really it was a great morning. The problem occurred after the fact. I had recently purchased a prayer book; the ‘Manual of Prayers’. A book that is issued to every seminarian at North American College (America’s pontifical seminary in Rome). I forgot the book in her vehicle. Later in the week the subject came up. I documented in my journal that we had a five hour conversation that day (with lunch break). The conversation centered on her fears from the book. She said that the prayers weren’t “normal” and that she had Catholic friends check the book out. She was convinced that it was a book for priests. She accused me of wanting to be a priest or thinking I was a priest. I felt a pain like never before that day. After hours of trying to convince her that we were okay I began to doubt it for the first time. My world was literally crashing down around me. Countless tears were shed over the following two months. As the snow of winter melted things started getting worse for us. We had a fight over premarital relations. I had always been opposed while she now wanted to pursue the prospect. I was told that we needed to make sure we were compatible. As our graduation dates approached, my masters and her bachelors, we began discussing the prospect of marriage and moving to the same city. More serious talk of marriage led to the next disagreement which was cohabitation. She said that we should think about living together before getting married. This had always been a big no-no in my family. While I should have been happy over my impending graduation I was now feeling as if I was being persecuted. I felt as if I was under constant attack. The final major issue I can remember discussing was contraception. I had reached a point in my Catholic study where I rejected the use of contraception. We were at her college sitting in her SUV, keeping out of the cold before a dance; she asked me my opinion on the issue. When I answered I was bombarded with reasons that the use of contraception would be a good idea. She didn’t want many (or any) children; this had always been fine with me. Now that I was discovering the deeper meaning of marriage my opinions were changing. For some reason that cold night stands out in my mind. We didn’t have a long fight. Instead of the sound of us arguing the SUV was full of the sound of silence. It still seems to me like it lasted forever, but it was only a few seconds. We then went to the dance and had fun. Walking out we looked awkwardly at each other. I broke the tension with a snowball fight, but the underlying problem was still present. As winter became spring, and the more she pushed me, the more I studied the faith. I truly fell in love with being Catholic for the first time in my life. I realized that I was making my decision; I was making the unthinkable decision of choosing Catholicism over her. I loved her more than anything on the face of the Earth, but it wasn’t enough for her. Over the final month and a half or so of our relationship I cried daily over the discovery I was making. The weekend we broke up was not the weekend that I planned to do the deed. She was visiting St. Louis with her family. We had Blues and Cardinals tickets. It was the weekend of a volunteer conference in which I would be running for a prominent position. It was a less than ideal weekend to have a break up. I had already decided that I would do the deed two weeks later when I visited her. This way she would not have to make the long lonely two-hundred-plus mile drive home alone. No, I would be the one to make that drive. I loved her too much than to cause her any pain. I had promised that I would never hurt her and I intended to hold a close to that promise as I could. We met at the Scottrade Center for a Blues game with her parents. It went as well as could be expected. 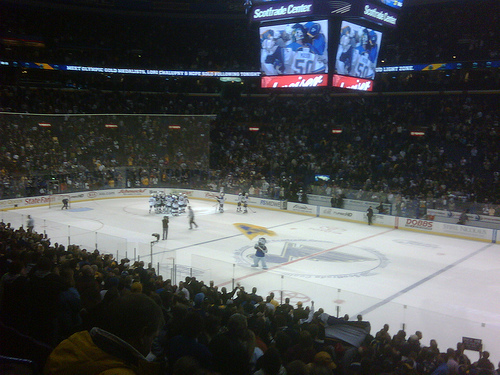 The Blues won. Although her parents would be staying in town she would be staying with me in my college house for the conference. I remember every moment of that evening. We went to her parent hotel to pick up her things. We kissed for the last time. I don’t know why, but I didn’t reciprocate during the gesture. I couldn’t. I knew that I was soon going to cause this beautiful woman whom I loved so deeply pain. That night we went out to eat and had a late night as we always did. When we got home we cuddled a little. I remember the last time we embraced. We were lying together and she squeezed me. She put her head on my chest. It seemed like it lasted forever, but like the silence in the SUV before I know that it lasted no more than a minute. I know that she knew something was up. I couldn’t bring myself to squeeze back. I just lied there. A thousand thoughts swarmed through my head. I felt sorrow. The next day was busy. I presented workshops and won my election. There was a bit of down time before the evening’s formal banquet and dance. We went to my house to freshen up and get changed. As we got settled in my room I began gathering my things, she sat down on my bed and said those words: “What’s going on with us?”. I said that I was noticing the differences in our religion. I remember her voice like a wiper said “why can’t we focus on what’s the same?”. I remember her weak voice because she is one of the strongest people I know. I had broken my promise. I hurt her. The details of the rest of the night went as you might expect. Friends asking me where she was and me explaining why she was seated at another table instead of the table of honor with me. When I drove her to her parent’s hotel I brought a friend to act as a buffer. She said that she still wanted to go to the Cardinals game the following day, I later got a text that they were leaving town early. I haven’t seen or heard her since. After a few months I received a text asking for prayers. I of course alleged. I later won a raffle for a large party at a bar in her hometown which I gave to her for her birthday; we only corresponded through email. She moved on quickly. Within the year she had another relationship and was engaged, shortly after she moved away to live with him, something that I couldn’t have abridged her with. Now she lives thousands of miles away with another man and we haven’t spoken in two years. She was my entire world and I gave up my world for the faith. There was no joy on my graduation day because she wasn’t there. 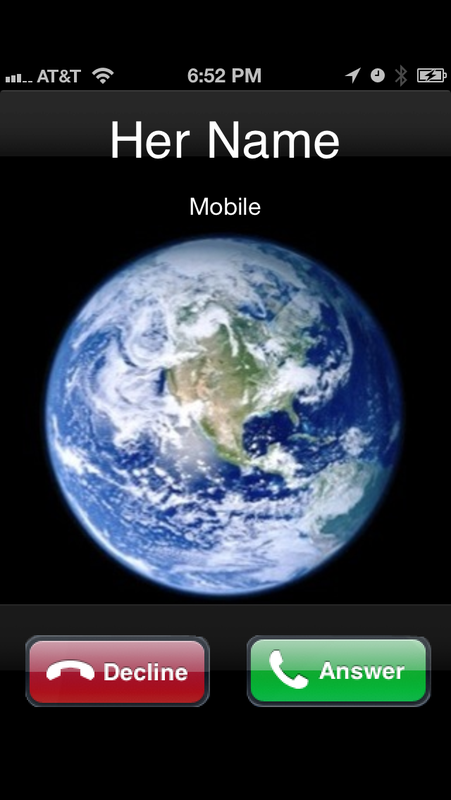 Everyday wish that I look at my iPhone and see her name on the screen. I was angry at God for a long time. I still get angry with Him every now and again. We’ve even had shouting matched because I couldn’t have her. Now it is two years later. I have been devouring books on the faith. I have a far richer faith life than I ever could have had if I remained with her. I eventually started attending Latin mass, I pray the Liturgy of the Hours, and I have actually touched a bible (something I really hadn’t done before my faith experience). Still there has not been a single day that I haven’t thought of her. Every time she posts about adventures with her fiancé on Facebook it is like a dagger in my side. I’m watching another man living the life that I should have had. It is a constant battle to remind myself why I made the decision that I did. Sometimes I wonder if I’ll ever have a successful relationship again. Everyone I’ve seen since her falls imperishably short in my eyes. I have to trust God. I know that I am in the position that I’m in because I’m right where I’m supposed be. I’m where God wants me to be. Sometimes as Catholics we must make difficult decisions for our faith. Sometimes our faith comes with a cost. We have to remember that no matter what the struggle on Earth that our eternal reward lies beyond. It was two years ago that I broke up with the woman that I loved more than life itself. It was two years ago that I made a sacrifice for the faith. Sometimes we have to make difficult decisions for the faith. Sometimes we don’t entirely understand why we had to make those decisions. What we do know is that those decisions, those sacrifices, make us better for the sake of God. I know that I am better for having the Catholic faith in my life. I know that I am stronger for the sake of the faith. I know that this is only one of the trials by fire that I will have to experience in my life. The hard part is recognizing that sometimes the Lord knows better than we do. He knows that what we want may not be what is best for us. The hardest part is that recognizing , even though the pain, that we are right where the Lord wants us to be.